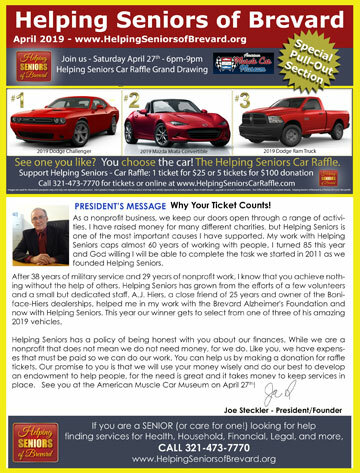 Look for the popular Helping Seniors TV programs, hosted by Helping Seniors Founder and President, Joe Steckler. Each half-hour Program is packed with important information on topics of interest to our area Seniors and features interviews with guests who provide an important perspective to aging with dignity. The programs air daily, Monday-Friday, on television throughout Brevard County Florida on Space Coast Government TV. Space Coast Government TV is found on Spectrum Channel 499; AT&T U-Verse Channel 99; Comcast (North Brevard Channel 51 & South Brevard Channel 13); and online at www.BrevardCounty.us. All programs are also available “on-demand” on the Helping Seniors YouTube channel and can be found, as well, on the Helping Seniors website. 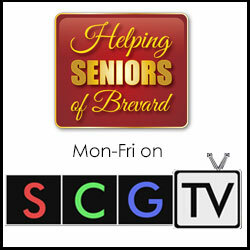 Join Helping Seniors of Brevard President, Joe Steckler, three times a day during each weekday for the "Helping Seniors" Television program airing throughout Brevard County on Space Coast Government TV. Joe has been a favorite presence and familiar face on the Bright House Networks TV for many years. He provides insightful information to "Help Seniors". What is the difference between Traditional IRA's and Roth IRA's? 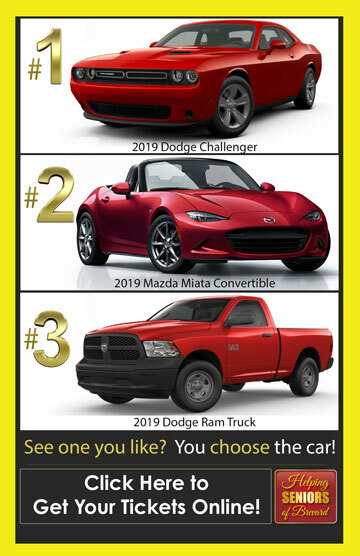 Not know could cost you thousands of dollars. Make sure to learn the difference and where using each type of IRA can benefit you the most. Learn with Retirement Finance expert August Velten, of August Velten & Associates, on this edition of Helping Seniors TV. Joe's "Helping Seniors" Television Programs are always available, free-of-charge, and on demand, on the Helping Seniors of Brevard website at HelpingSeniorsofBrevard.org as well as on the worldwide Helping Seniors YouTube channel.